The musically vibrant and culturally rich city of Havana, Cuba, has been selected to serve as the 2017 Global Host City, presented each year on April 30th. In partnership with the Thelonious Monk Institute of Jazz, International Jazz Day highlights the power of jazz as a force for freedom and creativity, promotes intercultural dialogue through respect and understanding, and unites people from all corners of the globe. 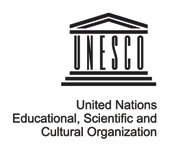 The day is recognized on the official calendars of both UNESCO and the United Nations. International Jazz Day programs are made possible by Toyota, the 2017 lead partner. 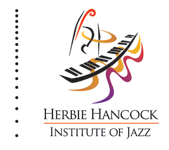 The All-Star Global Concert will have Herbie Hancock and Chucho Valdés serving as the artistic directors, and John Beasley and Emilio Vega as the evening’s musical co-directors. The Concert will feature stellar performances by a truly international roster of artists including Ambrose Akinmusire (United States), Carl Allen, (United States), Marc Antoine (France), Richard Bona (Cameroon), Till Brönner (Germany), A Bu (China), Igor Butman (Russian Federation), Bobby Carcassés (Cuba) Regina Carter (United States), Kurt Elling, (United States), Kenny Garrett, (United States) Herbie Hancock (United States), Antonio Hart, (United States), Takuya Kuroda (Japan), Ivan Lins (Brazil), Sixto Llorente (Cuba), Marcus Miller (United States), Youn Sun Nah (Republic of Korea), Julio Padrón (Cuba), Gianluca Petrella (Italy), Gonzalo Rubalcaba (Cuba), Antonio Sánchez (Mexico), Christian Sands (United States), Esperanza Spalding (United States), Chucho Valdés (Cuba), Ben Williams (United States), Tarek Yamani (Lebanon), Dhafer Youssef (Tunisia), Pancho Amat (Cuba), César López (Cuba) and others, with further details to be announced in the days to follow. “UNESCO is proud to be associated once again with the Thelonious Monk Institute of Jazz, as well as with the Instituto Cubano de la Música, to raise the flag for jazz, for freedom, for creativity, for diversity and for unity. This year’s focus on Cuba is testament to the power of jazz to build bridges and join women and men together around shared values and aspirations”, said Irina Bokova, Director-General of UNESCO. Many acclaimed musicians and educators from Cuba and around the world will participate in free jazz performances, master classes, improvisational workshops, jam sessions and community outreach initiatives. Programs will take place at schools, arts venues, community centers, jazz clubs and parks across the city of Havana and throughout Cuba beginning on Monday, April 24th and leading up to the festivities on April 30th. Additionally, jazz history and education programs will be provided for tens of thousands of students in over 11,000 schools across Cuba. These programs will be among the thousands of International Jazz Day live performances, educational activities, and community service programs taking place in more than 190 countries on all continents. The Thelonious Monk Institute of Jazz is once again working with UNESCO and its field offices, national commissions, networks, associated schools, universities and institutes, public radio and public television stations, and NGOs to ensure their involvement and participation in International Jazz Day 2017. Additionally, in countries throughout the world, libraries, schools, universities, performing arts venues, community centers, artists, and arts organizations of all disciplines will be celebrating the day through presentations, concerts, and other jazz-focused programs. The celebration in Havana of the International Jazz Day in 2017 marks the seventieth anniversary of Cuba’s accession to UNESCO and the foundation of the National Commission for UNESCO. Air transportation for artists and educators provided by United Airlines, Official Airline of International Jazz Day 2017. 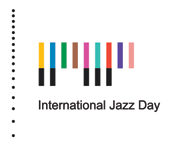 For more information about the International Jazz Day 2017 live stream, and to register events on the official website, please visit www.jazzday.com or www.unesco.org/jazzday.